Michelle Miller is a graduate of the Medical College of Georgia and obtained her Master’s Degree in Physical Therapy in 1999. 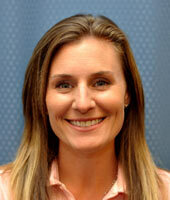 She has been with the Sports Rehabilitation Center since 2005 and became the Dunwoody Clinic Director in 2008. She attended the University of Tennessee where she received her undergraduate degree in Exercise Science and was a student athletic trainer for three years. While there, she worked and traveled with the women’s track and field team and the women’s tennis team. Michelle is a skilled therapist who provides a hands on approach to treating orthopedics and sports related injuries for those wanting to return to recreational activities as well as return to sports at any level. One on one time allows for each patient to be assessed a as whole person and given a personalized program with emphasis placed on returning to sport or daily life with the highest functional ability possible. She has advanced training in manual therapy used with every patient including dry needling, kinesiotaping, mobilization of joints, trigger point and myofascial release. Her areas of interest include treatment of the knee and shoulder as well as postural education and core stabilization. Michelle is a member of the American Physical Therapy Association and the Sports and Orthopedic Sections and the Physical Therapy Association of Georgia. In her spare time, you can find Michelle playing tennis both for ALTA and USTA, cheering for the University of Tennessee Volunteers, and the Atlanta Falcons. Michelle also has two sons who keep her very busy with sports, scouts, and music.